Objective: Remove passphrase from a SSL private key. Explains stderr redirection pitfalls and common errors. For redirections to work, order is important and they are evaluated from left to right. Objective: Create or convert a text hex dump input file to a binary file on Unix / Linux. Objective: On a Unix or Linux, display a running clock on the top right hand corner of a shell terminal. 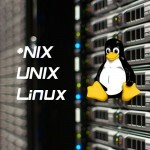 Objective: Create a new file on Unix / Linux which is of certain size.